[News Focus] Will Samsung stop manufacturing Galaxy phones for China? Word is spreading that Samsung Electronics might be planning to outsource production for some of its mid- and low-end Galaxy-series phones destined for the Chinese market, industry sources said Thursday. According to some news reports, Samsung’s mobile business executives led by Executive Vice President Roh Tae-moon visited China’s Wintech, Xiaomi’s original design manufacturing branch, to discuss the possibility of manufacturing Samsung phones at Wintech’s factory. If the talks between Samsung and Wintech go smoothly, Chinese consumers could see Galaxy smartphones featuring the Samsung logo but manufactured at Wintech’s facilities in China. The rumors about Samsung phones going for ODM began circulating around July as the Korean tech titan was struggling to recover its share in the Chinese smartphone market. The latest statistics by Strategy Analytics showed that Samsung’s share in the market dropped from 1.3 percent in the first quarter to 0.8 percent in the April-June period. Samsung has been overhauling its smartphone business in China since last year, carrying out organizational reshuffles and taking other measures to improve efficiency in distribution and sales. “There were internal discussions at casual levels among senior officials in charge of the China business several years ago, when the Apple-Foxconn partnership seemed to be working well in terms of the cost-to-quality ratio,” a Samsung official said. However, questions remain as to whether the ODM strategy will work now, considering that the current market conditions in China affecting Samsung stem not just from the cost problem but more fundamental ones, including the distribution network problem, the official explained. “A very few models could be (produced via) ODM orders, but Samsung is more likely to maintain its manufacturing-driven position in the market,” he said. 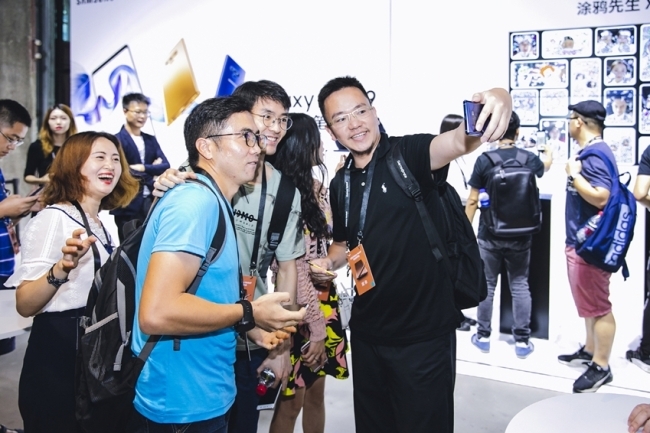 To restore the company’s market leadership in China, Samsung’s mobile business chief Koh Dong-jin is said to visit the country every month to spearhead local business. “Samsung is trying to regain Chinese consumers’ trust by listening to their needs and reflecting (their wishes in) our products’ design, sales and marketing plans,” Koh said in a speech at the launching ceremony for the Galaxy Note 9 in China in August.